Oh, boy, I really should have checked the photo quality before giving this card. Sorry about the very blurry photo. 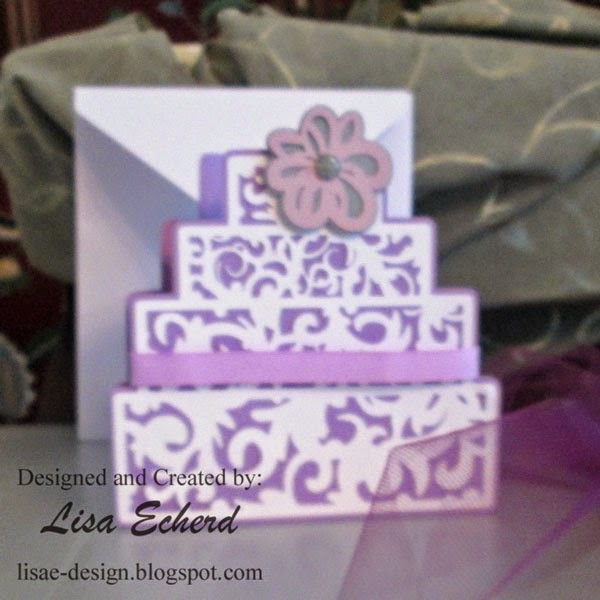 The card was super easy to make using the flourish cake image from the Silhouette store. The hibiscus is also from the store. I added a bit of stamping with Stampin' Up! 's Itty Bitty backgrounds stamps and some distressing around the edge before assembly. The bride and groom are having their wedding in Jamaica so everything has a tropical theme. Lenny and I will attend their reception here in late July. I already have picked out tropical print skirt I wore in Hawaii years ago. I think it will be perfect. Thanks for stopping by! I have 3 videos recorded this weekend. One is already edited and uploaded so lots of stuff coming along. Don't forget the free Scrapinar next Monday, June 30. Register here. I will be talking about lots of ways to use sketches. Also the Creative Cardstock class introductory price expires this Friday night. Just $15 for 10 lessons on using cardstock for all types of elements for your scrapbook page from backgrounds to titles to embellishments. Click here for more info. The purchasing button is on the sidebar. Very pretty! I'm not the biggest fan of purple but I love this! 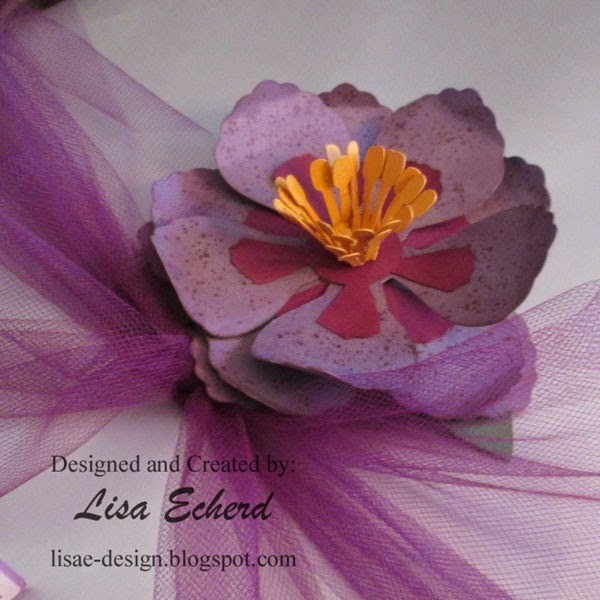 I love purple and it looks fantastic on this card, Lisa! Love the lacy look of the card base. I love your post. Thank you sharing that post.